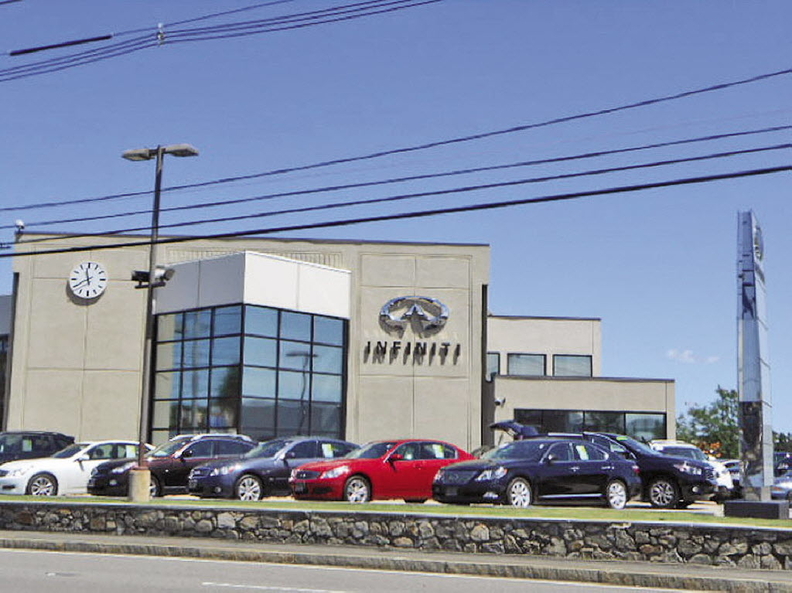 Infiniti dealerships showed the greatest improvement in responding to Internet inquiries in the fifth annual Pied Piper Prospect Satisfaction Index Internet Lead Effectiveness Benchmarking Study. Infiniti, Mini and Mitsubishi dealerships had the industry’s biggest improvements in responsiveness to customer inquiries on the Internet, while Lexus stores led the way for the second consecutive year, according to a newly released study. Buick, Land Rover and Volvo had the largest drops in performance. The fifth annual Pied Piper Prospect Satisfaction Index Internet Lead Effectiveness Benchmarking Study measured the responsiveness of 13,637 dealerships representing all major brands between September 2014 and March 2015. The company gathers data through “mystery shopping” to score the dealerships. While dealerships slightly improved overall with a 1-point gain in the industry average since last year, 17 of 33 brands had their scores slip this year. Pied Piper takes 19 factors into account for scoring, including the speed of responses and whether dealerships answer questions -- or respond at all. The mystery shoppers submit inquiries through dealership websites. “The reason we measure what we measure is that we’ve tied it to sales. We’ve tied it to dealership success,” said Fran O’Hagan, CEO of Pied Piper Management Company. Lexus earned the top spot with a score of 70. Porsche (65) remained in second place, while Fiat (62) jumped from the seventh spot in 2014 to third place this year. Dodge (61), which ranked 13th a year ago, was in a fourth-place tie with Infiniti. It’s the only domestic brand to crack the top 10. Infiniti rose 8 points -- the largest gain this year. Infiniti dealers improved significantly in two key areas. O’Hagan said the stores trimmed their “no response” percentage to 8 percent this year from 12 percent. Infiniti stores also went from answering questions 45 percent of the time last year to an industry-leading 69 percent. While Mini and Mitsubishi stores still sit below the industry average score of 57, they’re showing positive signs. For instance, both brands were above average when answering specific questions online that required the personal touch of a salesman rather than an automated response. Mini dealers answered these questions more than 60 percent of the time, while Mitsubishi stores did so at a 59 percent clip. “There are few parts of the car business where effort is repaid so immediately with incremental [sales] than it is with how you handle Internet leads,” O’Hagan said. General Motors brands took four of the bottom seven spots in the rankings. After having three brands -- Cadillac, Buick and Chevrolet -- rank above the industry average in 2011, GM dealerships have struggled to reach that point again. Buick, in 2014, has been the only GM brand to receive an above-average score since 2012. GM’s brand average has lagged behind Fiat Chrysler’s brand average and the Honda, Toyota and Ford divisions in the last four surveys. GM brands’ stores lost ground to all of them in 2015. O’Hagan said when dealing with GM stores, mystery shoppers failed to get responses for specific questions from salespeople 25 percent of the time -- compared with 15 percent for the industry. In these cases, an auto-response doesn’t cut it. Scion and GMC tied for last, with 49 points each. Hyundai (50), Buick (51) and Volvo (51) rounded out the bottom five. When Pied Piper mystery shoppers made inquiries to Lexus stores, they received a response an industry-best 99 percent of the time. That number includes automated responses. Lexus dealers also led the industry in giving shoppers a reason to act quickly when responding to inquiries over the Web, doing so 29 percent of the time. This means Internet salespeople, for example, were adding timeliness to the interactions by pitching limited-time financing offers in their responses. In addition, Lexus stores were the best at giving reasons to buy from their specific dealership, doing so 66 percent of the time. O’Hagan said giving price quotes is a source of controversy for some luxury dealerships, but not for Lexus stores. They ranked second overall by mentioning price in their Internet responses 70 percent of the time. Porsche dealers were the top performers in this category, mentioning prices 81 percent of the time in their Internet follow-ups. Lexus is the only brand that has ranked in the top one-third throughout the study’s five-year history, thanks to its consistent sales processes and a strong amount of high-performing stores. Pied Piper, which also gives out letter grades to dealerships, said 22 percent of Lexus stores received A grades — outpacing the 5 percent industry average. Across the industry, 30 percent of stores received Fs, compared with 16 percent for Lexus. Fiat Chrysler brands have fought their way up the ranks, going from below-average in 2011 to respectability in 2015. All five FCA brands now are at or above the industry average. Dodge and Jeep are two of the most-improved brands since 2011. One of the strengths of Dodge dealers is their ability to answer questions within 30 minutes, which they do 61 percent of the time compared with the 48 percent industry average. Jeep, on the other hand, did a better job this year of providing additional information on vehicles of interest. Fiat was one of only two brands (Nissan being the other) to follow through on Internet inquiries with a phone call more than 70 percent of the time, topping the industry average of 63 percent. Ford dealers didn’t waste time with Web inquiries, answering questions within 30 minutes more than 60 percent of the time. Dealerships with effective Internet sales processes try to get customers on the phone soon after online inquiries. This is a growing trend among dealerships. In 2011, dealerships called online customers less than 50 percent of the time, but that number stands at 63 percent in 2015. GMC, Jaguar, Land Rover, Lexus, Porsche and Volvo stores followed up Internet leads with phone calls less than half of the time, according to the study.